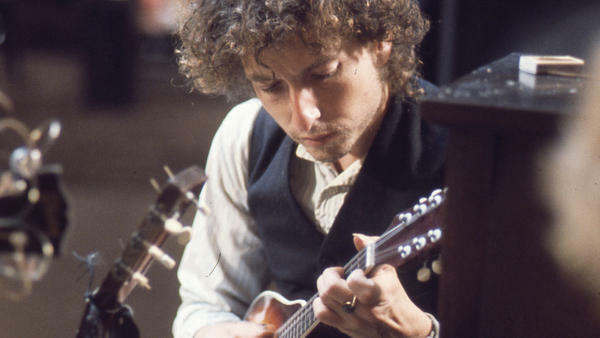 Bob Dylan with a mandolin during the Blood On the Tracks sessions. When can a song be considered "finished"? When, if ever, can a song written by Bob Dylan be considered finished? And what to make of tracks that were greenlit for release and then discarded – after the auteur decided they somehow didn't quite capture the totality of what he was trying to express? 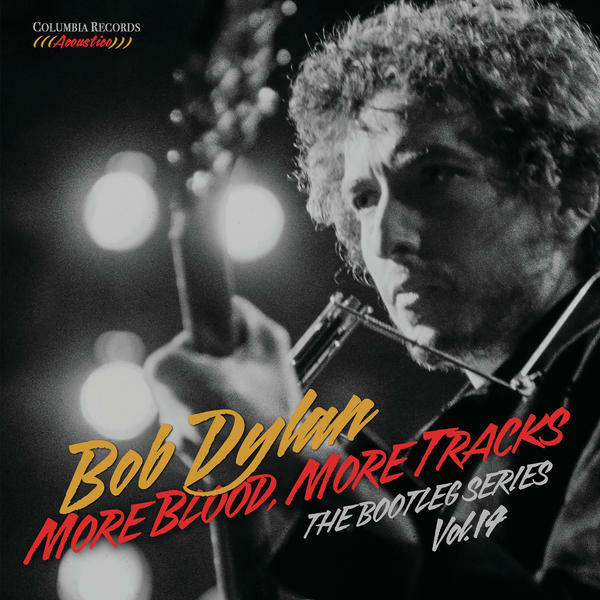 These are among the questions that hover over the multiple versions of "You're Gonna Make Me Lonesome When You Go" and really everything on More Blood, More Tracks – a massive trove of outtakes that documents, in chronological order, every utterance from the New York sessions that led to Dylan's 1975 opus Blood On the Tracks. "You're Gonna Make Me Lonesome" is a tender, straight-up declaration of anticipatory loneliness, and when Dylan begins working on it, during the second of four days of tracking, he envisions it with full band support. He and the studio veterans of the Deliverance band settle into an easygoing, L.A. country-rock pulse, and over the course of a brief rehearsal and multiple tries, they develop a working understanding about what the song needs, when to surge forward and when to leave space for Dylan's vocal flourishes. There are slight variations in tempo and arrangement, and unlike some early renditions of a few of Dylan's other new tunes – notably the howlingly raw New York recording of "Idiot Wind" that was replaced by a version (with a different band) from a late-December session in Minneapolis – these renderings are solid, professional, respectable. Dylan's pursuit of the singular "truth" of this song across so many takes is not about studio perfection. He's chasing a particular balance between narrative and background accompaniment; when there's too much musical information flying around, the spell is broken. His holy grail isn't to simply document the arc of a love affair: Dylan's searching for a specific tone and temperament to enhance the scenes he'd written – scenes set in the messy aftermath of all-consuming romance, when all that's left of a noble love is empty-room echoes and not-entirely-trustworthy memories. The six-disc box (and a single-disc sampler) shows how virtually everything that ended up on Blood On the Tracks underwent similar transformation. From typical songwriterly confession to austere, harrowing expression. Dissected by generations of songwriters for their metric precision and structural concision, these songs had to be rendered cleanly, with little ornamentation, so that listeners couldn't escape the nuance – or, conversely, the brute force – of the delusions and deceptions and dissolutions Dylan describes. One protagonist confides he only knows of careless love; another follows a cold trail in vain hope of reconnecting with the woman who made things make sense. Several songs share what happens when the angry words of a former lover reach into the psyche at the cellular level, coiling around the valves of the heart until they change a man's perspective, his sense of identity. One song is bitter and astringent; others are wistful, tender, nostalgic. Heard front to back, these pieces form an inquiry into the shifting dynamics of relationship that has no parallel anywhere in the history of popular song. What's more, everything on the final Blood On the Tracks – five songs cut in New York, five in Minneapolis – share one singular animating trait: This almost haunting visceral energy. These songs vibrate at an emotional pitch that's hard to reach, let alone sustain; More Blood, More Tracks underscores this feat. The multiple takes show Dylan framing and interpreting the words to shade or alter their meanings. He conjures the corkscrew to the heart, then finds ways to turn it further. Wound up and sometimes bursting with fury, Dylan sings with such immersion that he renders the eternal speculation about the origins of this work – "is it autobiographical?" – pretty much meaningless, at least secondary to the achievement of the art. Unspooling his detail-rich narratives differently each time, Dylan brings the abstract into focus, conjuring the taste of a sudden rejection, the chill of the wind blowing through the buttons of a coat. Each image works a particular magic that has eluded so many poets and songwriters: He's translating the messy and mysterious into music with universal resonance.